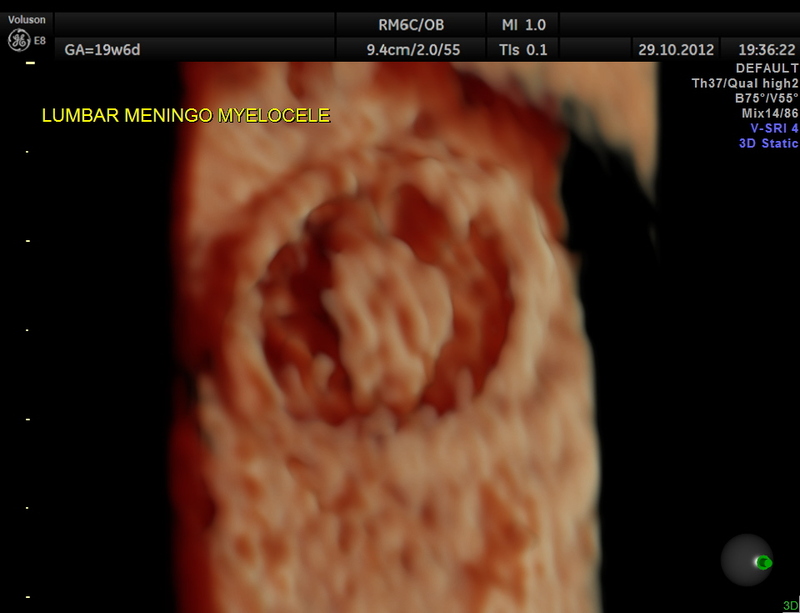 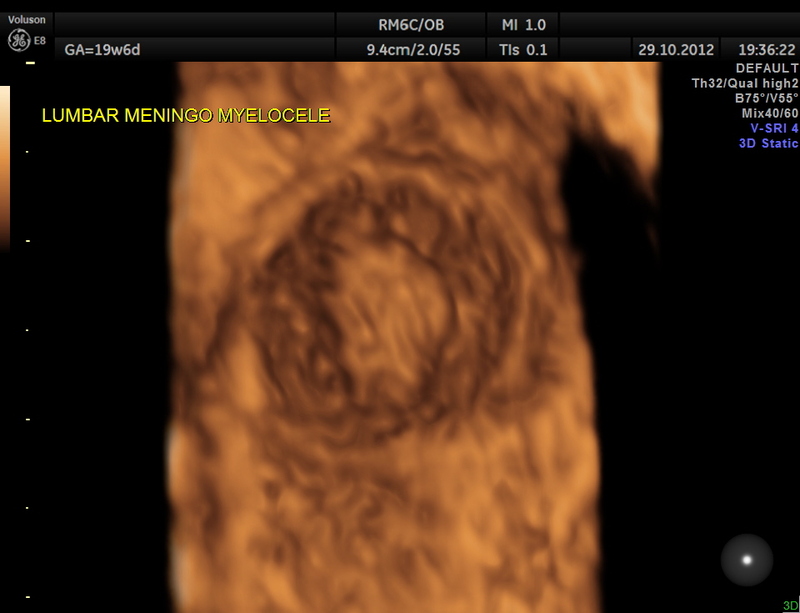 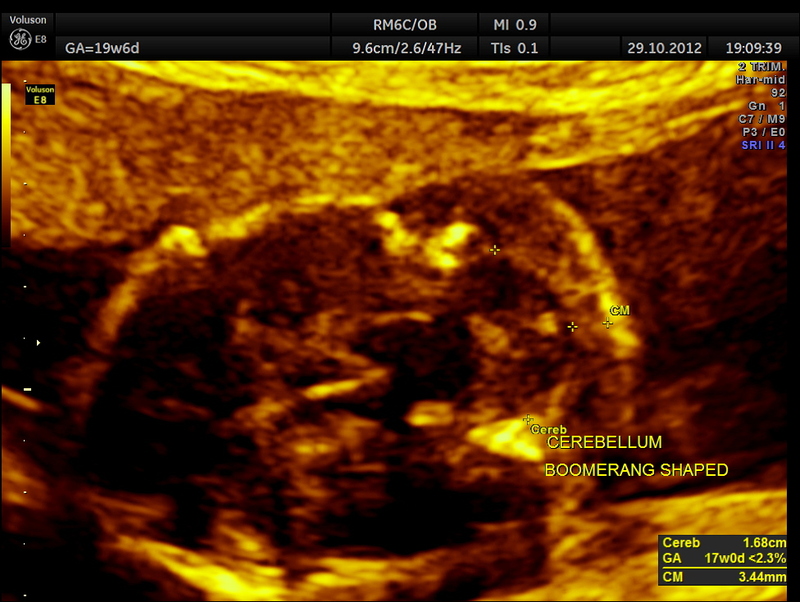 This was a 21 year old primi , with no history of consanguinity sent for anomaly scan . 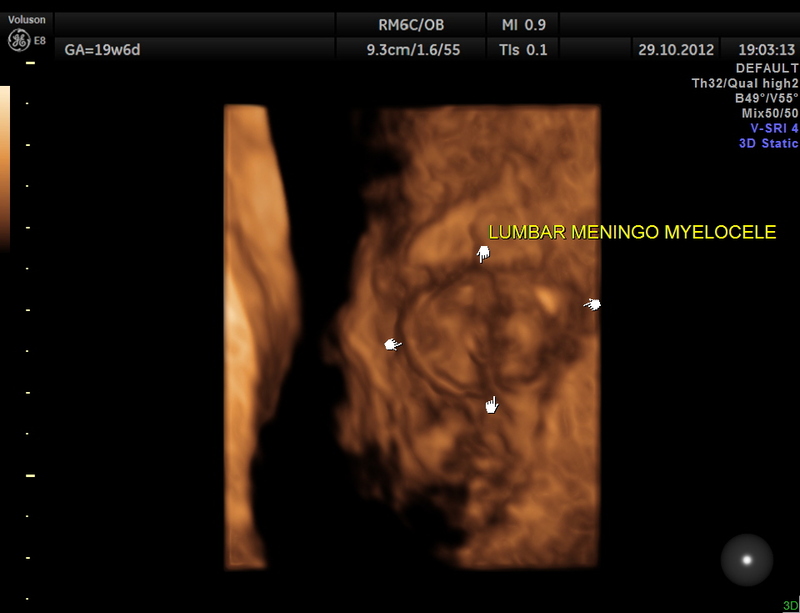 Scan done at another centre 5 days ago was reported as normal. 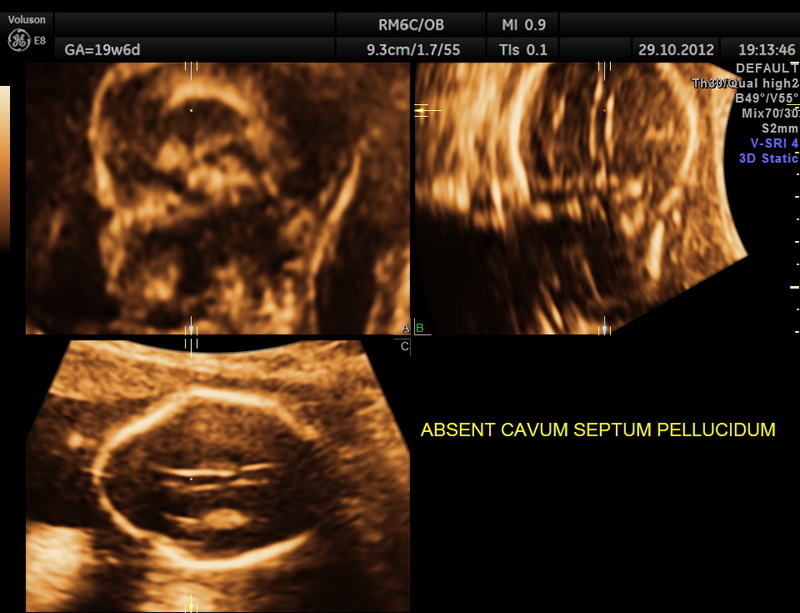 Subsequently she slipped and fell in the bath room and scan done revealed the anomaly and she was referred for further confirmation . 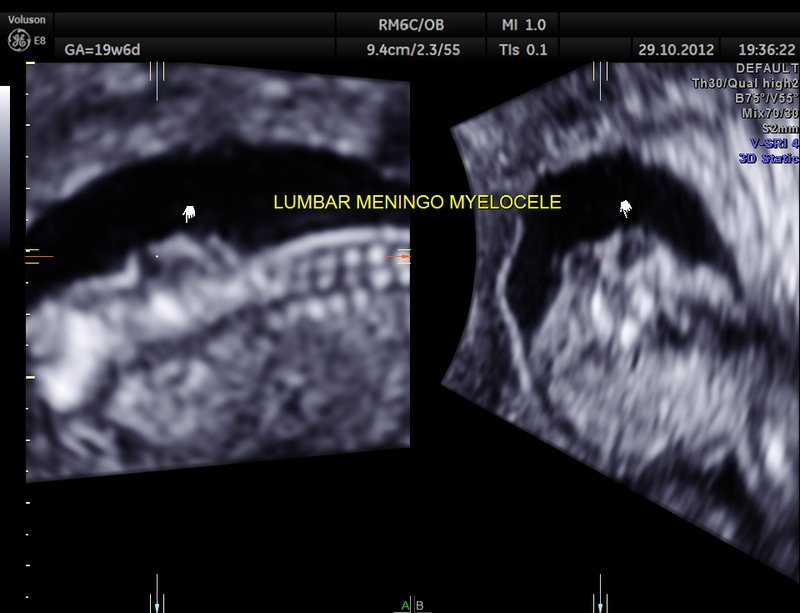 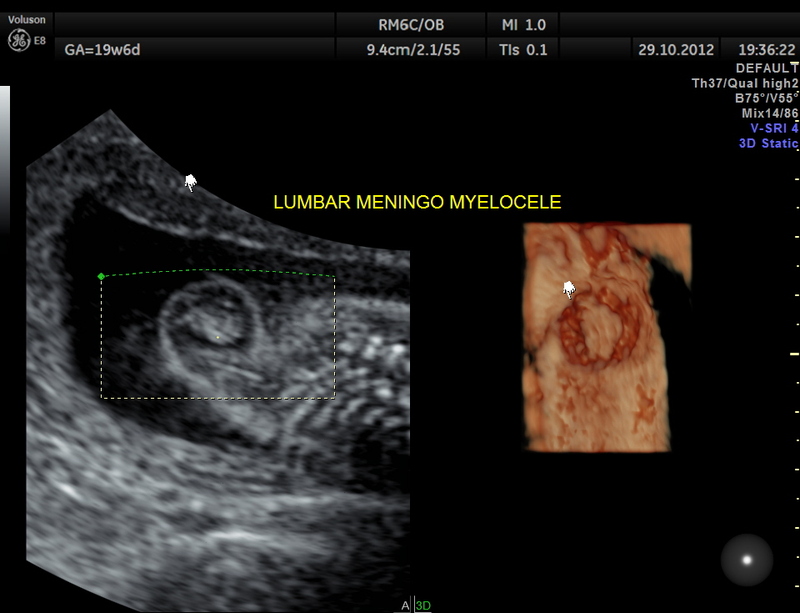 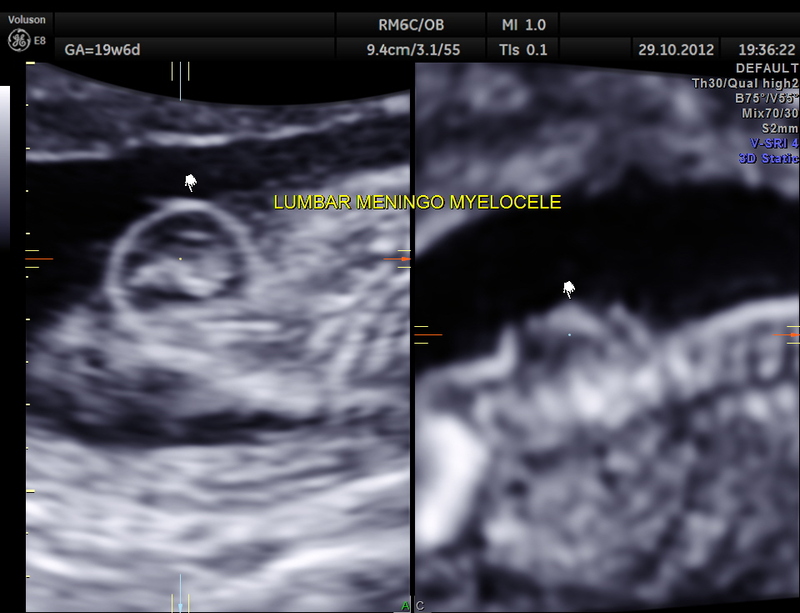 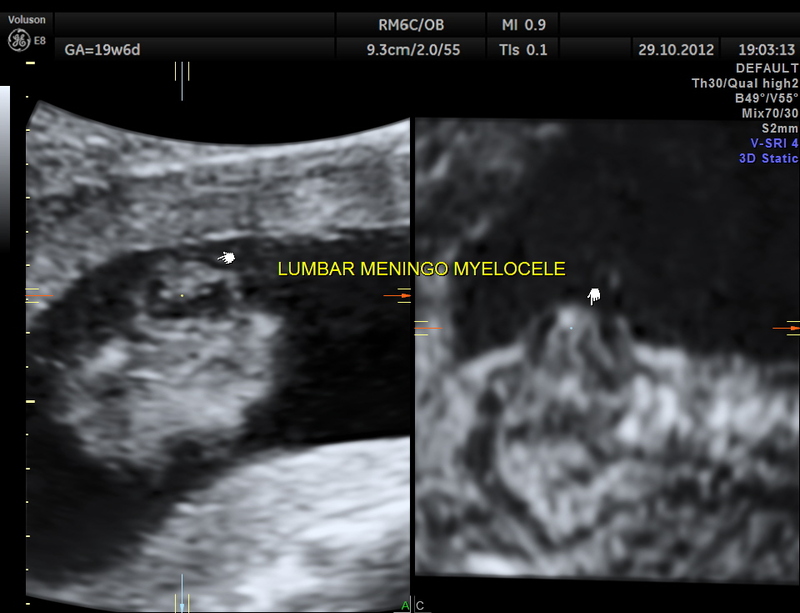 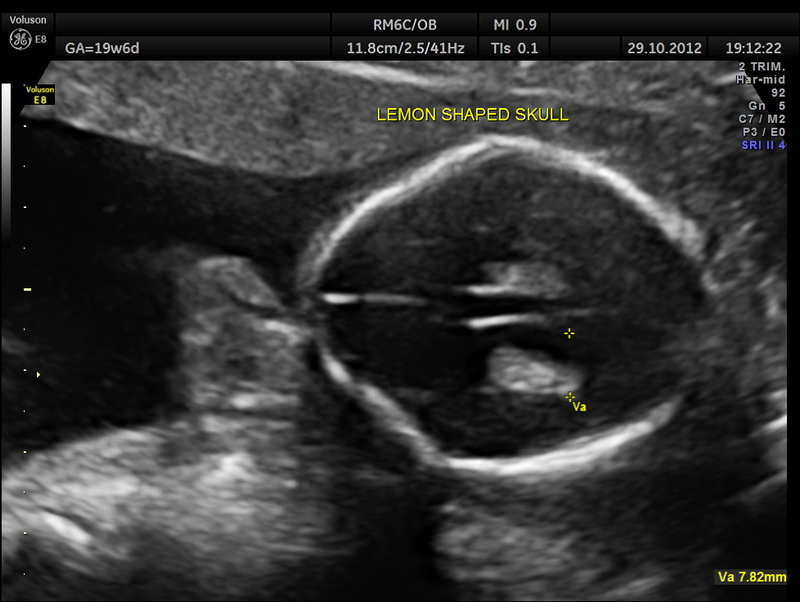 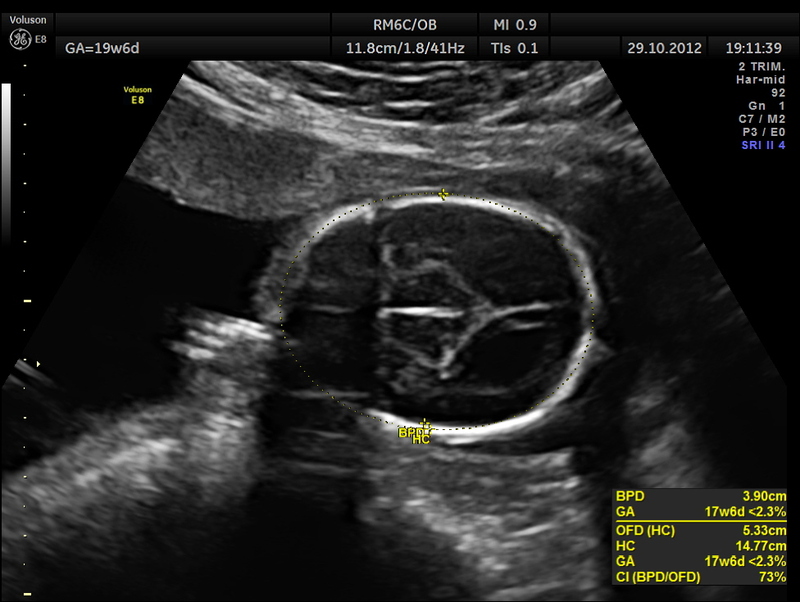 This fetus had lemon sign,banana sign, microcephaly, absent cavum septum pellucidum, open neural tube defect – lumbar meningo-myelocele.